Butterflies01924 371364work Shop - Baby/ChildrenButterflies is a small unique shop that specialises in children's clothing and shoes. This unique store provides children's day-to-day clothing and formal clothes with a personal service and attention to detail that only an independent store can provide. Butterflies also stock certain school uniforms and shoes, making Butterflies the one-stop-shop for children's clothing needs. 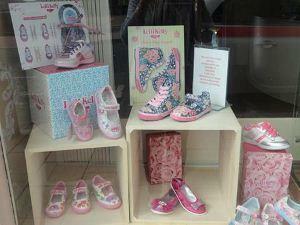 Butterflies is a small unique shop that specialises in children's clothing and shoes. Situated in Gills Yard, off Northgate.